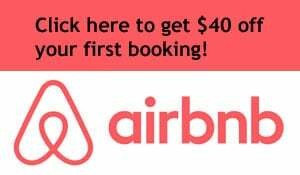 Add Indianapolis to the short but growing list of American cities in which it is possible to live and play comfortably without a vehicle. 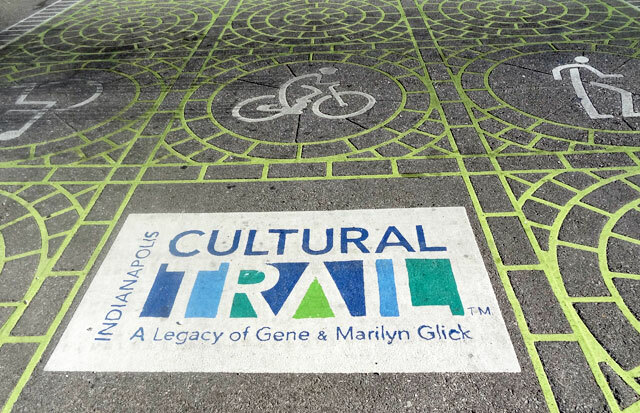 The cultural trail hooks up with nearby bike paths like the Monon Trail, which can take an ambitious cyclist more than 18 miles all the way through Carmel in the north suburbs. 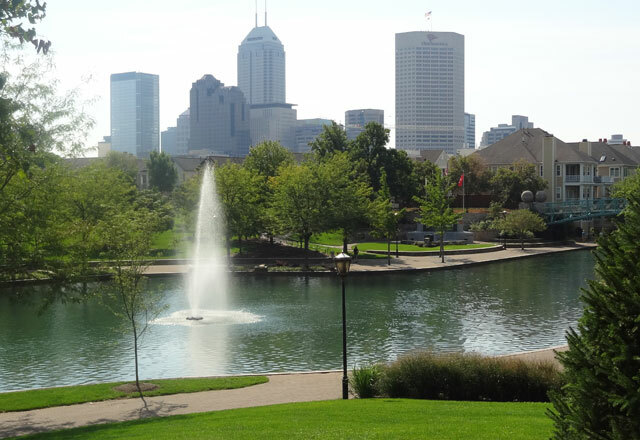 This web of connecting trails make it easy to get around not only in the city of Indianapolis, but also in some of the surrounding communities. 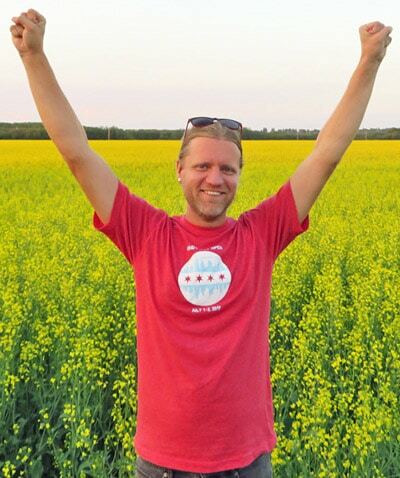 I rented a bike and discovered that I could get to most of the spots worth seeing in the Circle City via two wheels. 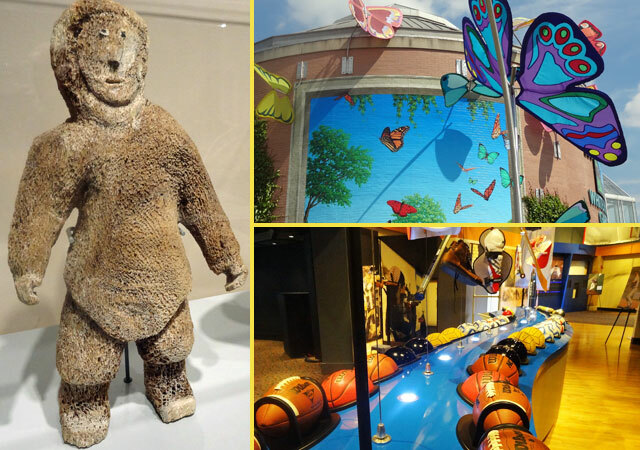 From art and museums to history and government, here’s what you can see on the Indianapolis Cultural Trail. Downtown Indianapolis is the home of the Indiana state capitol building, which was built in 1888 and has distinctive green accents. 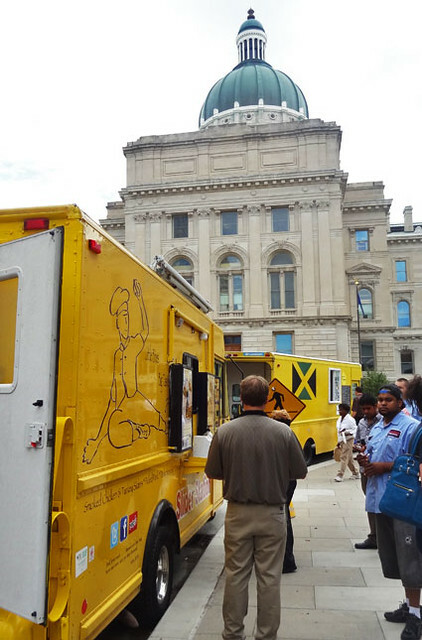 If seeing a capitol building itself isn’t exciting enough, stop by on Thursdays at lunchtime for the Statehouse Market, a collection of food trucks and local vendors at the capital. 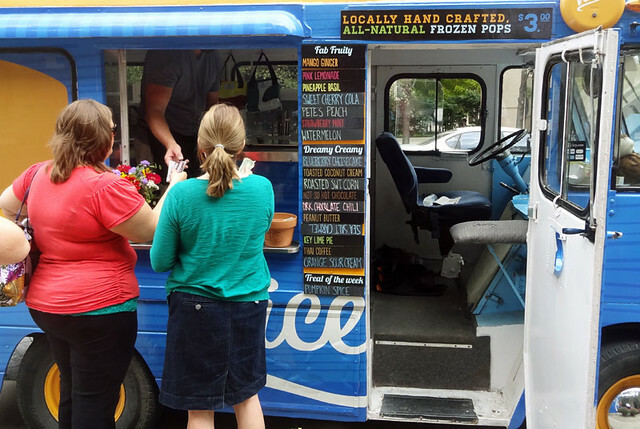 After lunch, grab a Nicey frozen treat, a locally-made dessert product that was one of my favorite discoveries in Indianapolis. I enjoyed the Toasted Coconut Cream, but more adventurous flavors are available, such as Pineapple Basil and Dark Chocolate Chili. 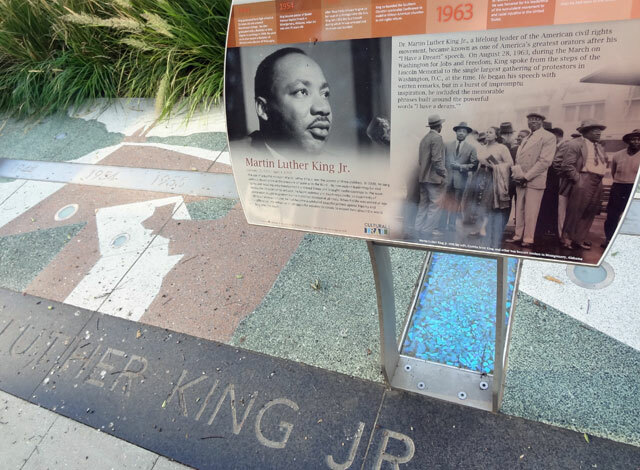 A major reason why this is a “Cultural Trail” and not just a plain old bike path is the Glick Peace Walk, which celebrates the lives and accomplishments of humanitarians from American history. The luminaries honored include Martin Luther King, Franklin & Eleanor Roosevelt, Mark Twain, Ben Franklin, Andrew Carnegie, Susan B. Anthony, and Booker T. Washington. Each display features signage with historic facts, a large image of the honoree, and a unique garden. 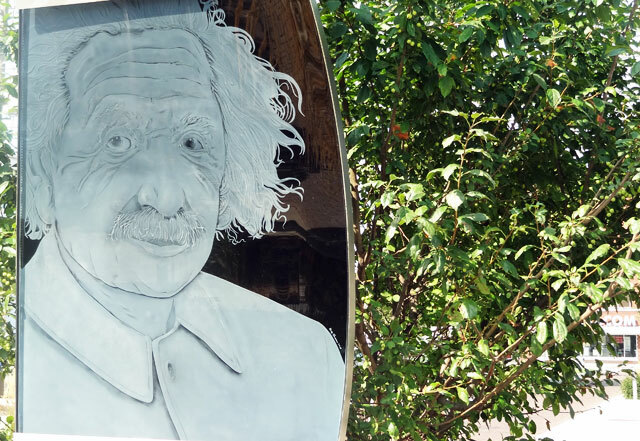 Look, they even managed to make Albert Einstein look almost like a normal guy! The trail goes right past a collection of museums on W. Washington Street like the NCAA Hall of Champions, the Indiana State Museum, and the Eiteljorg Museum. Meanwhile, bike a little further (where the Cultural Trail ends and the White River Greenway begins) and you’ll discover the Indianapolis Zoo. At the zoo you can find elephants creating paintings, in addition to the usual collection of wild animals. The NCAA Hall features exhibits and displays on college sports. The Eiteljorg focuses on Native American art, like the human character (above left) created out of whale bone by Inuits. 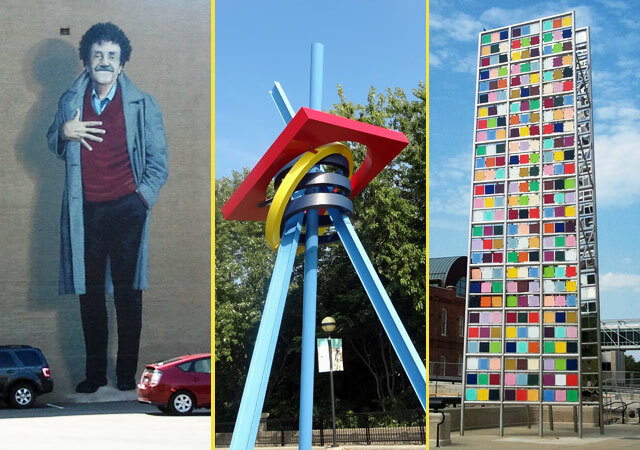 From Kurt Vonnegut murals to colorful towers, art is everywhere on the Indy bike trail. 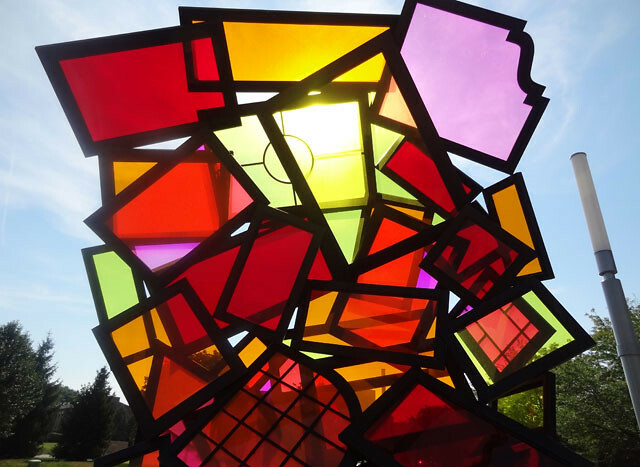 The eye-popping piece “Looking Through Windows” by Michael Kuschnir is one you’ll have to stop and admire up close. As usual, I just like the art because it’s pretty, but the artist says it has a deeper meaning. According to the signage, Kuschnir created the windows as metaphors for windows into the lives of the residents he spoke to and their thoughts on the area’s past and its future. 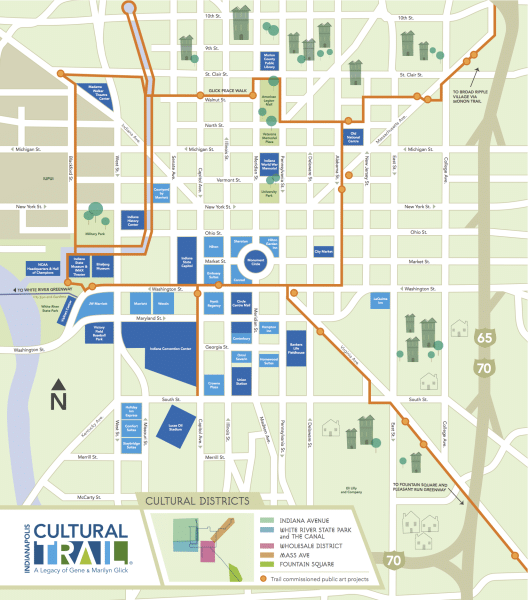 The Cultural Trail hugs the man-made canal that runs through Indy. It’s common to see all sorts of types of transportation along this portion of the trail and in the water, from bikes to Segways to kayaks to paddleboats. Impressive apartment complexes and views of the skyline can be seen along the water. 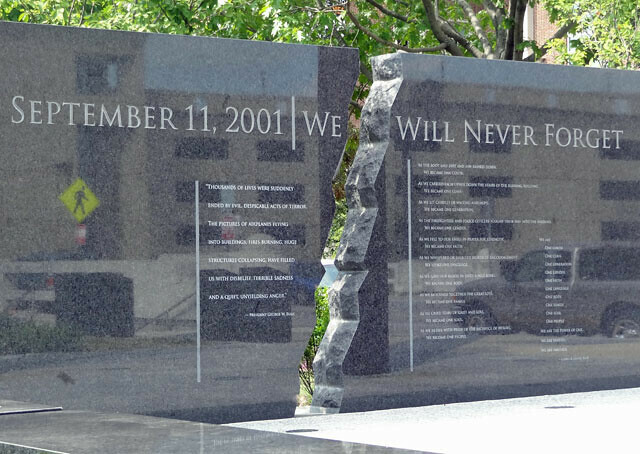 A popular attraction at the end of the canal is a tasteful memorial to the events of September 11, 2001 called “Project 9/11 Indianapolis.” Also located nearby is the USS Indianapolis Memorial, which commemorates the ship famously lost during World War II. Just off the trail on Senate Ave. is a facility dedicated to one of Indy’s literary greats, Kurt Vonnegut. 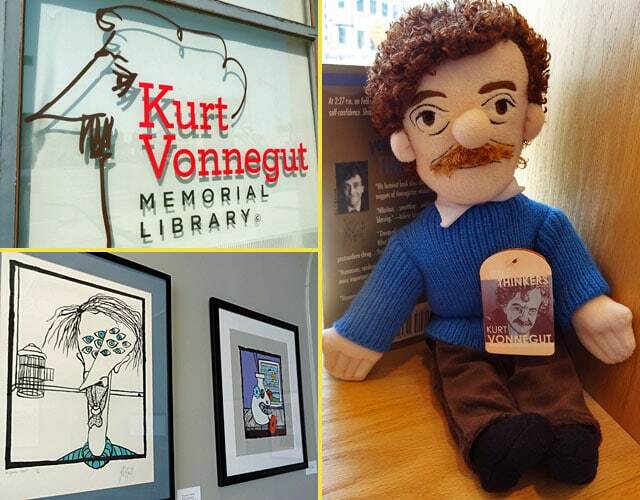 The Vonnegut Library features his writing, paintings, and artifacts from his life. 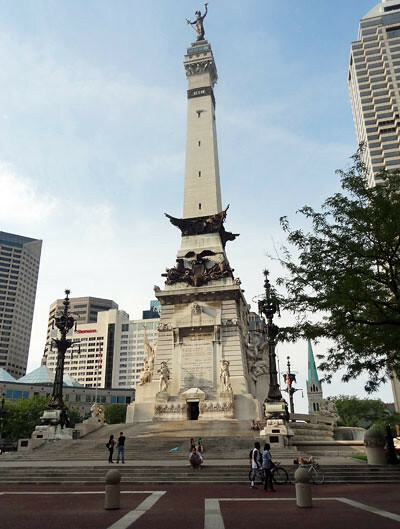 The highlight of the Monument Circle center in downtown Indy is the Soldiers and Sailors Monument, a 284-foot-tall obelisk that took 13 years to build in the late 1800s. During the holiday season, the monument is lit up like a Christmas tree. The Fountain Square Theatre Building opened in 1928 and became a major center of culture and activity. 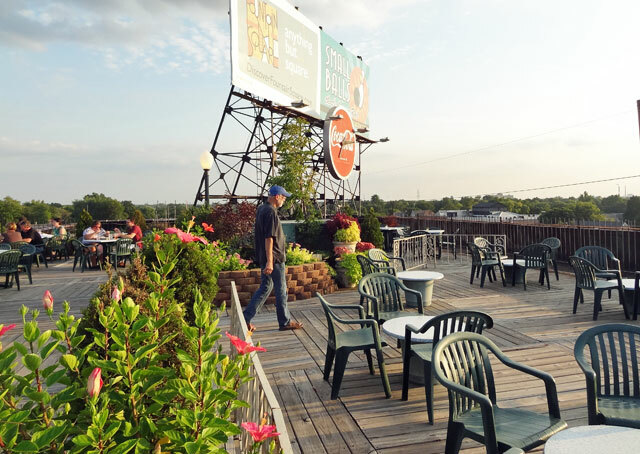 By the ’60s, it had been abandoned and fallen into disrepair, but it was restored in the ’90s and now houses a duckpin bowling alley, a ballroom for weddings and events, and restaurants offering rooftop dining. 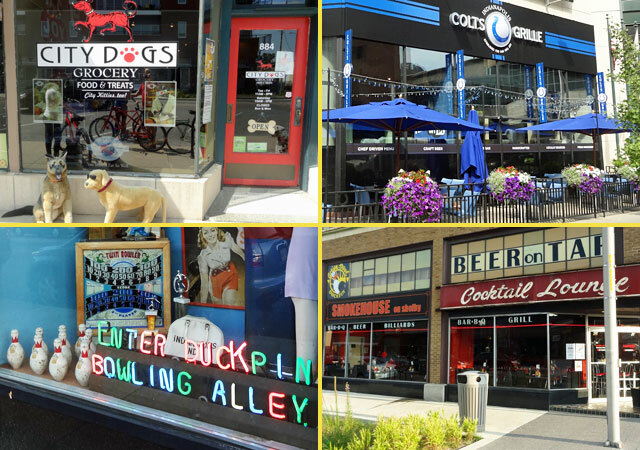 The Fountain Square area is home to a number of interesting merchants and bars. 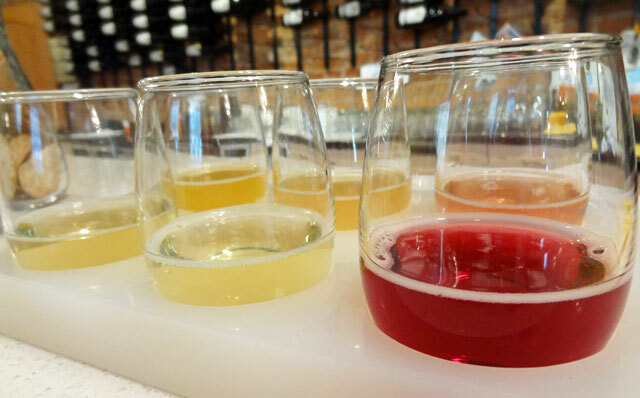 One cool drinking establishment is New Day, a meadery that rotates several flavors. My favorite flavor was Snap Dragon, a carbonated apricot honey wine drink that smelled awful but tasted amazing. 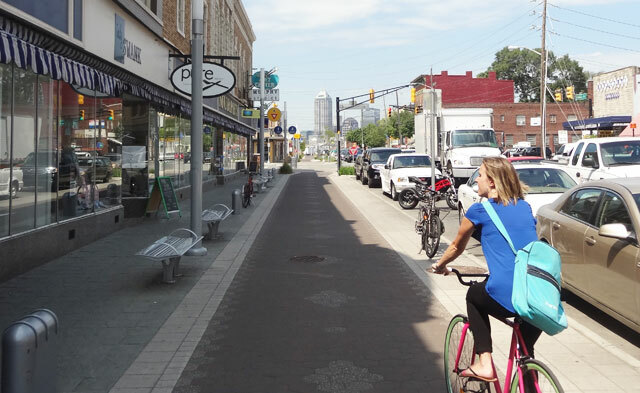 The Cultural Trail goes past several business districts in Indianapolis, so it’s a great way to move beyond tourist attractions and really get to know the local flavor of the city. 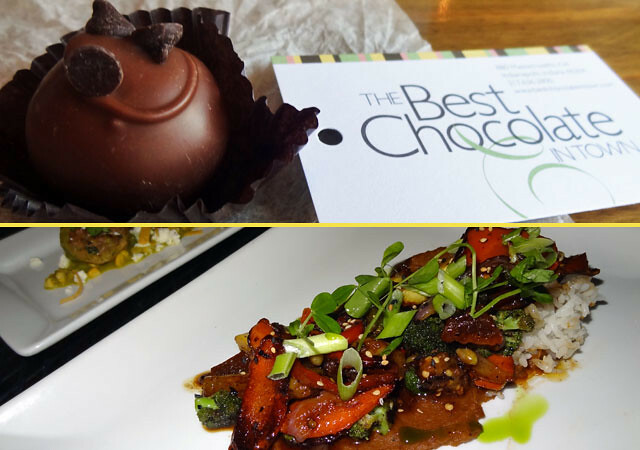 Below are two examples of some of the gems I discovered: truffles from Best Chocolate in Town and a stir fry from Bluebeard, a restaurant known for its fresh local ingredients. 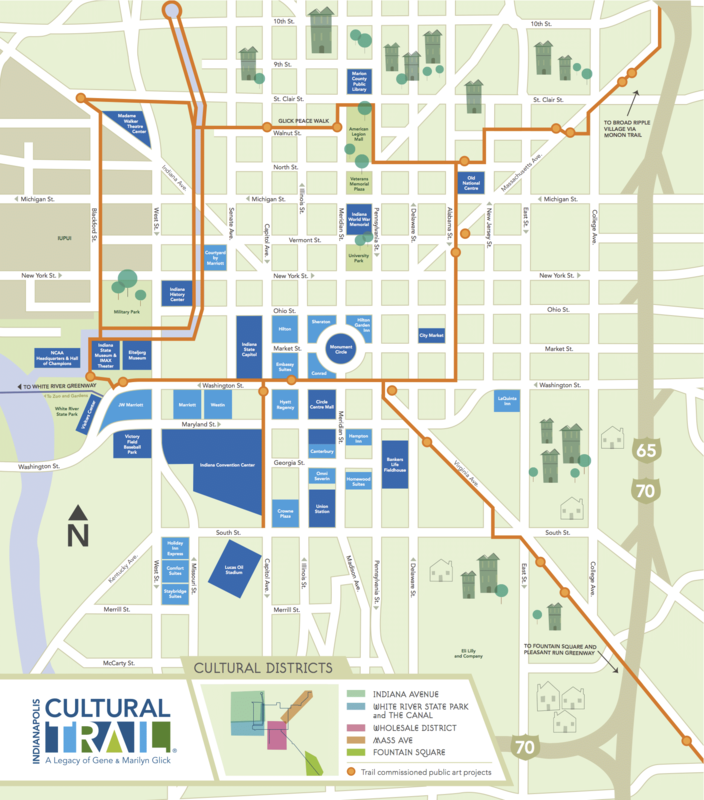 I was incredibly impressed by the Indy Cultural Trail. Who needs a car when you see all of this by bike? Way cool! I would love to try that trail!! You find the best places! We’re going to be passing through Indianapolis in October. If we have time to stop, I’ll definitely look for this, sounds right up our alley. The trail goes through most of the interesting neighborhoods, so I’m sure you’ll see people riding by on bikes while you’re in town!